Once upon a time, The Hubs and I bought a Bekvam stool at Ikea. It was cheap, it was functional and it had that nice safe “beech” look that fit in with everything. Years passed– we used that little step stool to reach the high places when painting our first home together, The Hubs brought it outside with him and used it to hang Christmas lights on low eves, I used it in the kitchen while cooking to reach high up places, the kids used it in the bathroom to brush their teeth. Over the years it was covered in paint speckles, footprints, kitchen splatters and toothpaste. It was a functional stool, that got a lot of love, but it had become… well… unsightly! What is a creative girl to do when she has a piece of furniture that is functional but no longer fabulous? 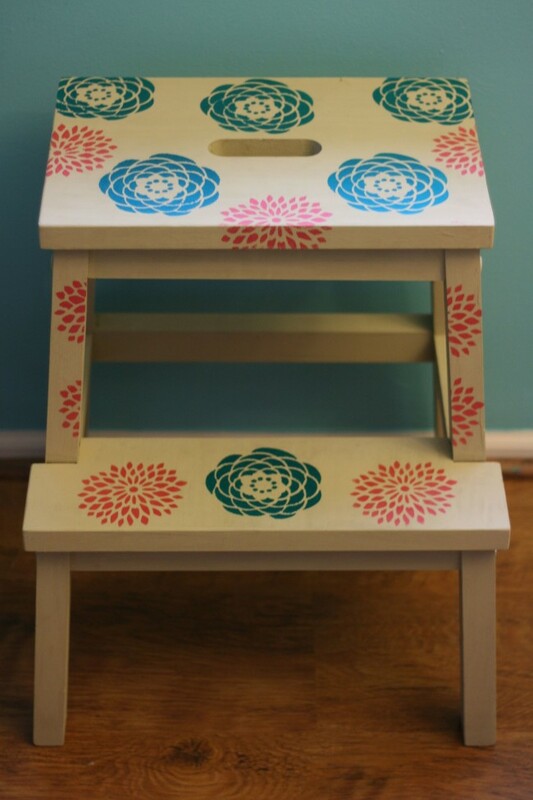 I decided to be this little stool’s crafty fairy godmother and give it a beautiful makeover… of course! I’ve long admired hand painted stools that I’ve seen on Etsy and at craft shows but haven’t had the expendable budget to buy one. One of the things I’ve come to love about Ikea is that the neutralness of a lot of their furniture is the PERFECT canvas for customization. So I decided to customize our Bekvam Stool myself and give it the facelift it deserves. This took me an hour or two over one weekend. It’s so easy that ANYONE could do it. Perfect for the beginner who has the desire for custom handmade furniture but not the skill (like me… hee hee). Here is how you can make one yourself! Optional painter’s tape and sponge, hot water and soap and/or sandpaper (depending on how dirty your stool is or if it’s brand new). If you have been using your stool for awhile, clean it. Wash it with sponge, some warm water and a mild cleaner (we use Branch Basics natural cleaners in our home). If your stool has things on it that won’t come off with a soap and water sand it with a light sand paper. Allow to dry. Apply 2 coats of paint to your stool. Follow instructions on the bottle of paint and allow to dry after each coat. Place your stencil in each area where you would like the design (you may want to use painters tape to hold in in place). Press down firmly and apply paint to the stencil using up and down dabbing motions. Move to the next area you would like to stencil and repeat. If there are areas where the stencil overlaps allow to dry in between. Allow stool to dry. 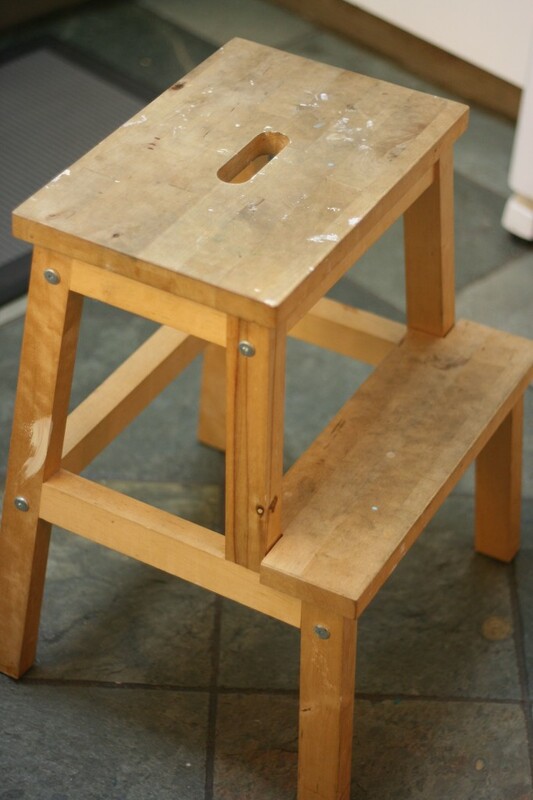 Once your stool has dried, apply a coat of sealant to protect your beautiful paint job. Admire your new, beautiful piece of furniture! That’s it! Easy, peasy, lemon squeezy! 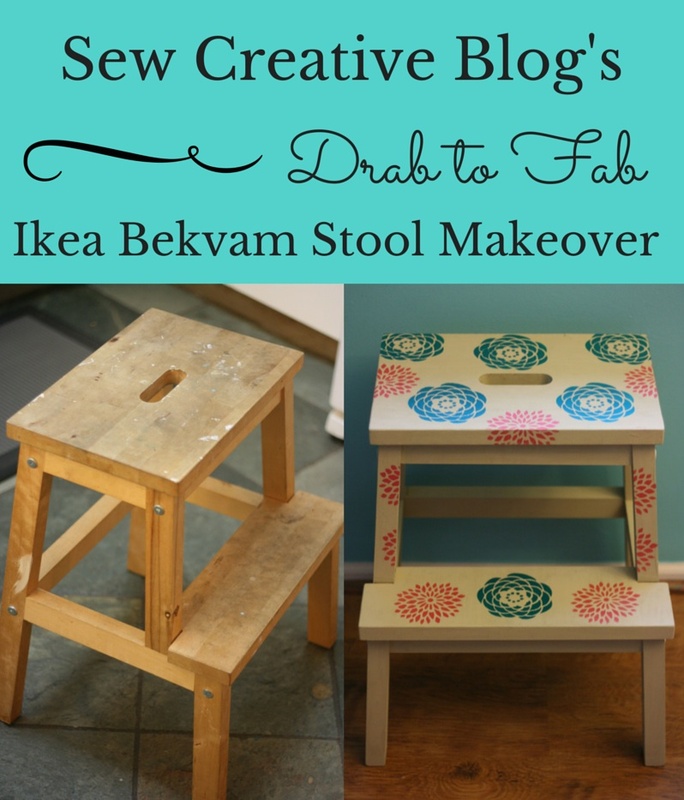 If you do an Ikea Bekvam Stool Makeover or really any furniture makeover I’d love to see it! 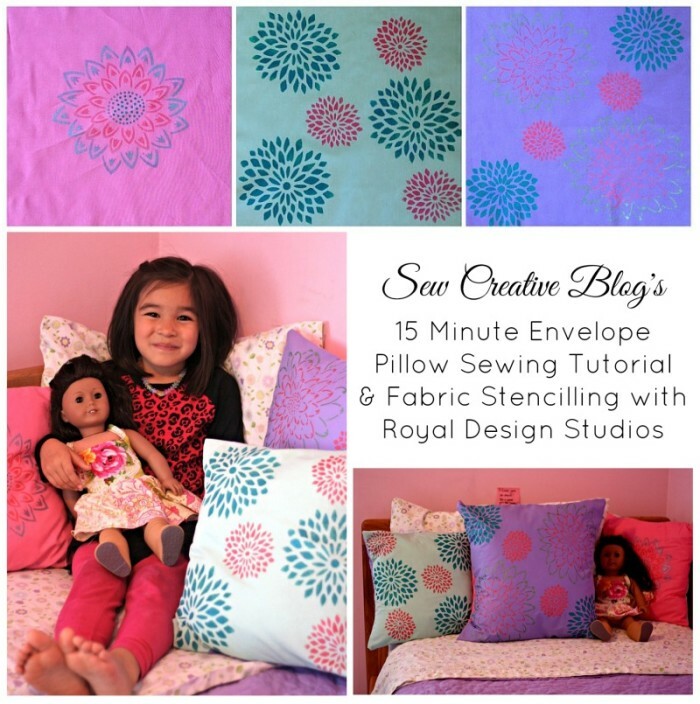 Share it with me on social media and tag it #SewCreative! 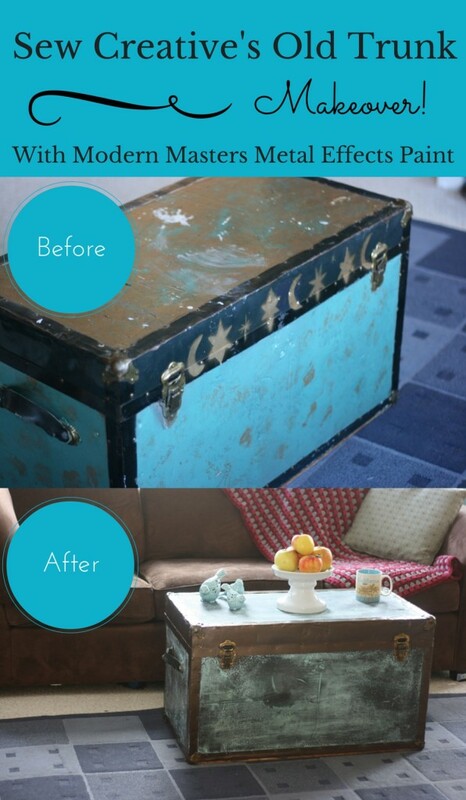 Tell me… Have you ever given a piece of Ikea furniture a makeover? « I was 10 Years Old When I Started To Hate My Body. That’s a really nice design!